Ahh, the Top 50. This one got delayed a bit because I couldn’t muster the ability to write this, but after finally doing it, this group of 10 is as interesting as any who have shown up thus far. This portion of the list features a lot of relievers (six, actually), including a couple who might see time in the majors this coming season. There’s also a couple of massive power prospects who have a lot of flaws. Editor’s Note: I am not a scout (#notascout). I am an amateur when it comes to evaluating players. I don’t claim to be a pro, I just want to pass along the information I observe/obtain to the people. Notes and comments are based on personal observation, talking to sources, reading scouting reports and watching video. All ratings in the charts below are on the standard 20-80 scouting scale, where 50 is roughly average, 80 is elite and nearly unattainable, and 20 is unacceptably poor. Enjoy. Kremer was the Dodgers’ 14th-round pick in the 2016 MLB Draft out of UNLV. Fun fact: He’s the first ever Israeli drafted by an MLB team. The numbers don’t immediately jump out at you — a 5.18 ERA isn’t exactly great. But he missed his fare share of bats last season with Rancho Cucamonga (27.0 K%) and limited the free passes (9.6 BB%). Because he pitched in such a hitter-friendly league, the ERA isn’t as concerning as it would be if he pitched in the Midwest- or Texas Leagues. The right-hander has a bit of a crossfire delivery and arm whip, but it works for him. He doesn’t have overpowering stuff, as he works in the 91-94 MPH range. His fastball has good riding action up in the strike zone, which is something the Dodgers value in their relievers. He pairs the fastball with an 11-5-shaped (from the catcher’s perspective) curveball that sits in the 76-79 MPH range. It has some good downward movement in the strike zone, leading to so funky swings and whiffs. He also has a low-80s slider that isn’t as refined as his curveball but is still a decent enough pitch that he should continue to throw it. He has a consistent release point but when he rushes his delivery, he tends to get a little bit wild. His front shoulder flies open and causes him to miss with both his pitches. After a full season in the California League, Kremer should get a full look in the Texas League with the Drillers. While he has starting experience in the past, Tulsa’s rotation doesn’t look like it has any room for Kremer, so he’ll work out of the bullpen (which is his ultimate home, if he makes it to he majors). He could be a fungible middle-relief type at the next level, should he make it. Isabel was an international signing out of the Dominican Republic by the Dodgers in 2013. 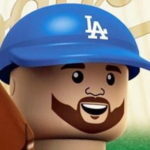 He was signed as an outfielder-first baseman, but he has grown into being just a first baseman (or designated hitter). He showed off his massive power at Rancho Cucamonga by hitting 28 home runs, good for second in the Cal League. But with that came an alarming number of strikeouts — 172 in 492 plate appearances (35 percent). He hit lefties much better (1.043 OPS) than he did righties (.766 OPS), which could be what he does if he ever makes it to the show. His setup at the plate is … interesting. He’s leaning a bit toward the plate with a slightly open stance and his hands at chest-level. He wiggles the bat a bit toward the mound and it all comes together as one with a large leg kick, his body drifting back a bit to the third base dugout and a general uncorking of that massive power potential. The ball jumps off his bat when he makes contact, and the contact is always hard. The problem with all this is his inability to cover much of the strike zone and recognize pitches. That’s what led to a high strikeout rate. It’s fun to watch when he connects, but his approach and swing won’t work at the upper levels. It’ll need a complete overhaul if the Dodgers think he’s anything more than minor-league fodder. Defensively, he isn’t much in the way of a defender. He can play the position, but he isn’t going to be mistaken for Paul Goldschmidt over there. His range is minimal and he doesn’t have the softest hands. As for running, well, he’s a large human being who lumbers around the bases and is the definition of a base-clogger. Unless he revamps his swing, Isabel will probably stall out in the high minors. He’s awfully fun to watch when he makes contact, but the infrequency of contact is the big problem. He’ll head to Tulsa where it should be quite the challenge for him. If he does well, then perhaps there’s hope for him as a prospect. His power — perhaps the best in the system — is his calling card. He could be the right-handed bat in a first base platoon if all works out. Rincon was a $350,000 find out of the Dominican in July 2015. After ripping through the Arizona Rookie and Pioneer Leagues in his 2016 debut, Rincon was given an opening day assignment with the Loons in Great Lakes. For a kid in his age-20 season, it was an aggressive move. Early on, it worked well. He hit .343/.410/.657 in April. But for the next fourth months, he hit just .178/.241/.368, which included a late-season demotion to Ogden. Overall, Rincon hit .208/.273/.421 with 21 home runs but a ton of strikeouts — 159, to be exact (good for a 37.7 strikeout rate). He’s a powerful prospect, but there’s a ton of swing and miss with him — not unlike Isabel. He’s solidly built and looks the part of a big-leaguer at the plate. He stands straight up with a slightly open stance and his hands around shoulder-level. He wiggles the bat a bit pre-pitch and has a quiet load. He clears his hips and brings the bat through the zone with tremendous velocity. He has a bit of an upper cut swing that leads to some of that swing-and-miss and some weak infield fly balls. When everything is in sync, he makes loud, hard contact. Pitch recognition and his approach will need work as he moves up the minor-league ladder. Rincon has power to all fields, but he’s an extreme pull hitter. On defense, Rincon has the arm to play right field and has played mostly that position in his brief MiLB career. He takes decent routes and has decent enough range for either corner. He could be a little better in left field because his arm would play up, but it’s a little better than average in right. He runs well enough, but he’s not going to be a stolen base threat at the next level. A repeat appearance in the Midwest League isn’t out of the question for Rincon. But if he handles it well enough, a midseason promotion to Rancho Cucamonga could be in order (and that would be fun). He has fourth-outfielder upside with a chance to be a second-division starter if he cures his strikeout ills. The Dodgers drafted Broussard in the 15th round of the 2014 draft out of LSU. He spent all by 5 1/3 innings with OKC in 2017. Overall, he had a 3.27 ERA, 27.4 K% and 7.5 BB%. He served as a setup man in Triple-A. He did give up seven home runs in 58 innings in the PCL, which will happen when a fly ball pitcher pitchers in a hitter-friendly league. Broussard works with a low-90s fastball that can touch the mid-90s. He doesn’t get a ton of movement on it, but it has worked for him to this point. He pairs it with a mid-80s slider that gets a decent amount of swinging strikes. It has a 10-4 shape and features good tilt. He’ll lean on it in any count. He has toyed with a curveball and changeup in the past, but he effective scrapped those to focus on his two-best pitches. He operates with a high-effort delivery with a lot of moving parts. He comes set with his glove at neck-level. His back leg is bent before he delivers the pitch. He lifts his front leg, drops his hands and releases the ball after a leg kick toward the plate. He has a bit of arm whip, but he’s in good position to throw when his front leg lands. He has an over-the-top release point and is able to exhibit at least average command/control of his pitches. Broussard is a fungible reliever who received a non-roster invitation to spring training this year. He profiles as a 6th/7th inning reliever for a second-division team. If he finds some more depth on his slider or movement on his fastball, his prospects would be a little better. He won’t break camp with the team, so expect him toward the back of the OKC bullpen for the upcoming season. He could see some time in LA if there are enough injuries/under-performances ahead of him. The Dodgers acquired Baker from the Brewers in a January trade for a player to be named or cash after he was designated for assignment. He was originally drafted by Cleveland in the 5th round of the 2012 draft. After missing basically two seasons (2015-16) recovering from Tommy John surgery and complications from that surgery. He came back in 2017 to post a 2.70 ERA in just 16 2/3 innings between rookie ball and Double-A. He struck out 16, walked just one but gave up 20 hits. For his MiLB career, he has a 3.58 ERA, 20.7 K% and a 9.5 BB%. But he only has 241 2/3 career innings due to the injuries. Baker has some premium stuff, as his fastball sits in the mid-90s and has reached as high as 99 MPH. It has a little arm-side run to it, but the plus-plus velocity is what makes him intriguing. He pairs the fastball with a high-80s slider that has flashed plus. It has hard biting 10-4 action and induces a fair amount of swinging strikes. He also has a power 12-6 curveball that was previously his best offspeed pitch. It sits in the 79-82 MPH range. Since moving to the bullpen, he has started to lean more on his slider. He also has a show me changeup in the mid-80s that he might use against lefties if his slider doesn’t work. As a former starting pitcher, he pitches from the windup with no one on base. He works from the first base side of the rubber and comes set at the belt. He has a simple leg kick and delivers the pitch from a high three-quarters arm slot. It’s not a high-effort delivery, but there are a few moving parts that have to be in sync for him to throw strikes consistently. Baker is on the 40-man roster, so there’s an outside change he makes it to Los Angeles at some point this season. He’ll likely begin the season with Tulsa in the Texas League. If he pitches well enough, a promotion to Oklahoma City wouldn’t be out of the question. He has late-inning reliever potential, provided he can stay on the mound. That’s going to be his biggest challenge going forward. Curry was an undrafted free agent signed by the Dodgers in July 2016. He didn’t debut until 2017. He pitched across four levels of the minors, spending most of his time with the Quakes. He had a 3.93 ERA in 66 1/3 innings and posted an impressive 29.3 K% and a 7.7 BB%. With Rancho Cucamonga, he allowed four home runs in 48 innings, which isn’t bad considering the hitter-friendly environment of that league. He’s armed with a fastball that sits in the low-90s and consistently touches 94 MPH with late life. He can also run it a bit inside to righties and away from lefties. His command on the 2-seamer needs some work, bu this 4-seamer is the better of the two fastballs. He also has a hard high-80s slider that has cutter-like tendencies. He also has a low-80s changeup that gets a lot of swinging strikes, especially from lefties. The biggest problem area is that he’s a little too hittable at times with this pitches. He needs to focus refining and improving his command, but the stuff is legit. Being a former starting pitcher, Curry works from the windup when no one is on base. It’s a clean and compact delivery and he shows good arm speed, making his fastball appear faster than it actually is. Curry is old enough that he shouldn’t need any further A-ball seasoning. There should be a spot for him near the back of the Drillers’ bullpen. If everything clicks, you could see a decent 7th/8th-inning reliever. Thomas was a 13th-round pick in 2016 out of the University of Oklahoma and signed him for an above-slot $300,000. He played outfield and quarterback while with the Sooners. The Dodgers were drawn to him because of his athleticism and power potential, which he showed a bit with Great Lakes. He led the Loons with 20 home runs and was fifth in the Midwest League. But his biggest concern is the strikeout numbers. He ran a 29.3 strikeout rate against just an 8.4 walk rate. He has some power potential — perhaps even above-average in kind — that he hasn’t fully realized yet. He’s still a bit raw, even after a full season of Class-A ball, evidenced by his low contact numbers. Since last season, he has crouched a bit more in his stance with his hands held at ear-level pre-pitch. He has a quick toe-tap timing mechanism. He brings the bat through the zone with above-average bat speed and makes some loud contact. His power is mostly to the right side of center field, as he hit one homer to the left of center field in 2017. But his athletic frame could produce some opposite-field power as he matures as a hitter. He’s an above-average runner underway, but he won’t be much of a stolen base threat as he climbs the ladder. Thomas has good enough range to play center field on a limited basis, but he’s probably better suited in a corner. He has enough arm for right field, but should be good in either corner. If the Dodgers didn’t have so much depth ahead of him, I’d almost advocate for him to skip Rancho Cucamonga, but there are too many good outfielders ahead of him. Instead, he should be able to display his abilities in the Cal League. The results won’t be as important as the process for him in 2018, but if he can improve his contact skills without sacrificing too much power, then he might jump up this prospect list in 2019. He has 4th/5th outfielder written all over him at present. The Dodgers popped Gonsolin in the 9th round of the 2016 draft out of St. Mary’s College. He signed for just $2,500, which looks like it might be a steal at this rate. After logging eight innings with Great Lakes, Gonsolin was promoted to Rancho Cucamonga and spent the rest of the season with the Quakes. Overall, he had a 3.86 ERA, 29.1 K% and 6.2 BB% between the two levels. Another impressive stat: More than half of his outings were for more than one inning. He threw two or more innings of relief 22 times. Gonsolin has seen his stuff progress since he was drafted. He broke into the majors with a fastball that sometimes got to 95 MPH. By August, he was routinely sitting in the mid-90s and topped out at 97 MPH. In the Cal League playoffs, his fastball touched 100 MPH. It doesn’t feature a lot of movement, but at that velocity, it doesn’t necessarily need it. He backs it up with a mid-80s slider that has good biting action down in the zone. It has 10-4 shape and has flashed above-average potential. He works exclusively from the stretch and, like most, comes set at the belt. He has a standard leg kick and and stride toward the plate. His arm is in pretty good position when his front foot lands and he delivers his pitches from a high three-quarters arm slot. His command/control isn’t fully developed yet and could be the biggest thing that holds him back. But if he becomes more consistent with locating his fastball and repeating his delivery, that would enhance his stuff that much more. If Gonsolin is the guy who pitched late in the season, he has a legitimate future as a late-inning flamethrower with a swing-and-miss slider. If he’s closer to the guy he was when he was drafted, he’s a run-of-the-mill reliever. Either way, it looks like the Dodgers’ minimal financial investment could pay off. Gonsolin will head to Double-A Tulsa for a significant test against advanced competition. If he passes, he could be a Top-30 org prospect come next season. The older brother of Giants’ top prospect Heliot Ramos, the Dodgers signed Henry as a minor-league free agent last winter. He was performing well in spring training (5-for-14, triple, homer before suffering a sports hernia that cost him the first two months of the minor-league season. 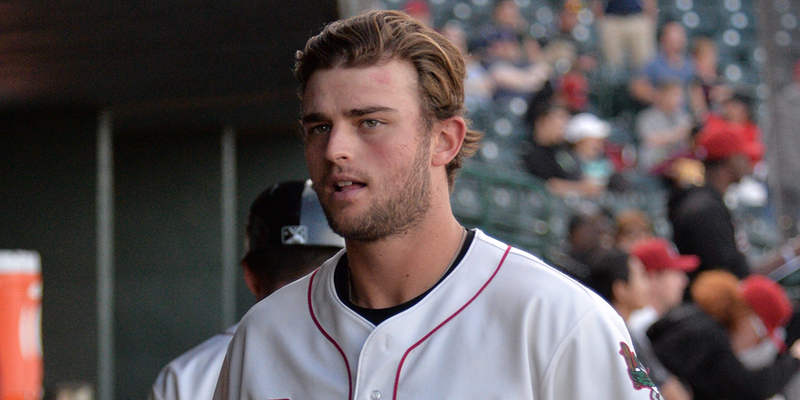 When he returned, he was assigned to Double-A Tulsa. After 101 plate appearances and a 1.117 OPS, he was promoted to Triple-A OKC in August. He didn’t hit as well (.790), but he was still a solid performer. He had previously been with the Red Sox’s organization before signing with the Dodgers. He was also given a non-roster invitation to spring training this year. A switch-hitter, Ramos had even splits from both sides of the plate but showed more power as a left-handed hitter. He’s solidly built and looks the part of a Major Leaguer. He has a slightly open stance from both sides of the plate and has a relatively level swing path that produces more ground balls and line drives than fly balls. He holds his hands at shoulder-level and wiggles the bat as it’s perpendicular with the ground. He points it at a 45-degree angle toward the mound before he begins his load. He has a toe-tap for timing and a normal stride to the ball. His swing looks a bit more fluid and natural from the right side, which isn’t out of the ordinary for switch-hitters. He’s played a lot of center field in his 8-year minor-league career, but he’s more of a corner player now. He has enough arm for right field and his arm could be even better if he settles into left field. He has good instincts and takes good routes to balls in the outfield and could play center field in a pinch, but not as an every day option. As a runner, he has average speed that’s better when he’s underway. He hasn’t been a stolen base threat in his career and he isn’t about to start now. Ramos is an interesting player. He has the look of an MLB-capable outfielder, but he’ll have to stay on the field to realize that potential. He could be a 4th/5th outfielder. Being a switch-hitter increases his utility and his likelihood of making his MLB debut. There are a few outfielders ahead of him on the depth chart, but a 2018 debut isn’t out of the question. He’ll probably start in a corner for OKC. Paredes was claimed off minor-league waivers by OKC last winter and did nothing but dominate Double- and Triple-A for 44 innings (2.25 ERA, 35.3 K%) before the Dodgers promoted him to the majors for his debut. After 10 minor-league seasons, he had finally gotten to the show. With the Dodgers, he allowed three runs in 8 1/3 innings and struck out 11 hitters against no walks and an 18.4 swinging strike percentage. He’s a classic late bloomer. He didn’t spend 10 years in the minors with premium stuff. Paredes has fastball that operates in the 88-92 MPH range. It has some movement to it, but it won’t miss a ton of bats. His best pitch is a sweeping slider in the 80 MPH range. It features a lot of horizontal break. Not as much as, say, Andrew Miller, but a good amount. He also had a 23.6 swinging strike rate on his slider alone. He also has a low-80s changeup that is used almost exclusively against right-handers. It’s a decent offering that is more than a “show me” pitch. Paredes doesn’t have overpowering stuff, but he makes it work because of a funky delivery and good location. He comes set at chest-level and sometimes at the belt with is legs bent more than most pitchers. He hunches down as he’s coming through toward the plate and releases from a low three-quarters arm slot. That helps him get a little extra horizontal movement on his slider. He has good deception that helps his pitches play up a bit. He profiles best as lefty specialist. But unlike most LOOGYs, he has a usable pitch against right-handers. He’s not going to beat out guys like Scott Alexander or Tony Cingrani, but if the Dodgers’ bullpen is struggling against lefties at some point, they might call on Paredes to try to help. For now, he’ll likely begin the season with OKC and will be among the first relief pitchers, if (when) needed.